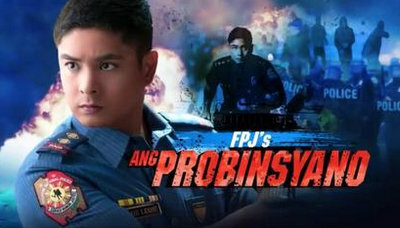 “Ang Probinsyano” starring Coco Martin, is the only Filipino show this American expat watches. “Showtime” is the only other Filipino show we ever view. My asawa watches “Showtime” before her afternoon nap. It starts at noon and ends three or four hours later, depending on when Vice Ganda stops talking. I nap during the show. However, I love the action drama “Ang Probinsyano.” It’s the highest rated television show ever shown in the Philippines. Furthermore, it’s been running over three years now, a rarity for any broadcast program in the PH. The show is based on one of the late Fernando Poe Jr.’s movies. FPJ… generally considered the greatest action star of all-time in the Philippines. Rival GMA has thrown out different shows against “The Province Man,” even a Thor rip-off, but even the pseudo-Thunder God’s mighty hammer couldn’t bring down Cardo, Coco Martin’s character. Will “Ang Probinsyano” Bite the Bullet after May 2019 Elections? Finally, however, it looks like “Ang Probinsyano” is ending. According to published reports in Bandera, my favorite Filipino show will end sometime after the May 2019 elections. The PhilippineNews.com stated that Endrinal did not give any specific date. He just affirmed that it is going to end after the mid-term elections. One reason for this is that some of the actors portraying major roles will be out of the show after elections. Actors Lito Lapid, Mark Lapid, Jhong Hilario and Edu Manzano are running for various government positions. There is no certainty that after the elections they can still do their parts as actors in “Ang Probinsyano,” based on the report. In fact, GMA also admits that they cannot afford to continue the big-budget show for more than three years in primetime. The show is action-packed and features an array of gun battles and fights, with a body count akin to a John Woo movie.